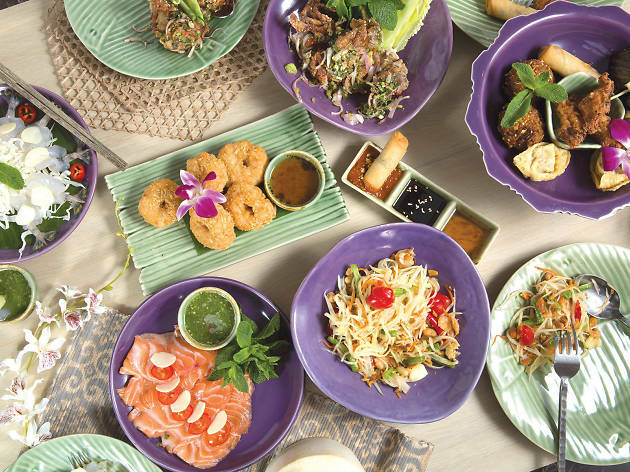 Since its establishment in 2003 by a group of female entrepreneurs, Nara Thai has grown into a popular brand that operates six outlets in Bangkok alone. Last month, it added Hong Kong to its list of locations with an outpost in Sha Tin’s New Town Plaza. 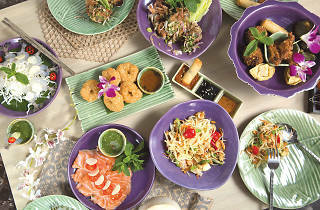 The menu is almost identical to the Bangkok locations and focuses on authentic Thai recipes that are designed to comfort. 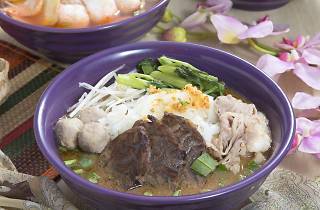 Among these is the Ayuthaya boat noodles ($98) which Nara is well-known for. 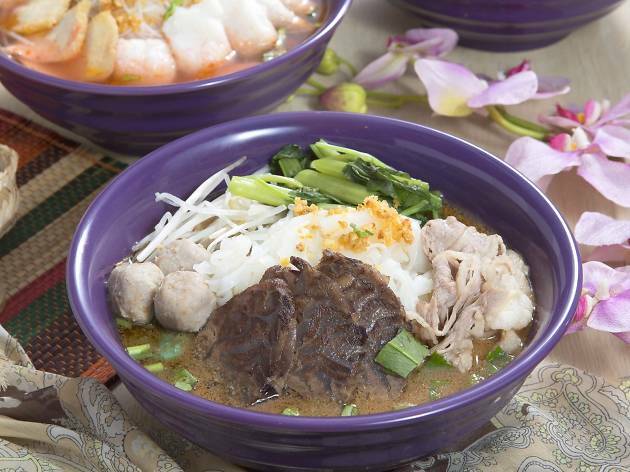 This comes with an impressive array of meaty trimmings – including sliced beef, beef balls and braised beef shin, as well as deep-fried pork skin to add a welcome crunch – but the broth, which should be the soul of the dish, sadly falls flat. The broth of the tom yum glass noodles ($78) is similarly lacklustre, a tepid affair that’s neither spicy nor sweet. The soup is just as middling when ordered as a standalone tom yum kung ($108) and proves to be a disappointing backdrop to the sweet and succulent shrimp it’s served with. Of all the broth-centric dishes we try, only the rainbow soup rice noodles with fish fillet ($78) passes the grade, featuring a bright and balanced pink-coloured base that’s made by slow-cooking fish bones with red vinegar. Moving away from the brothier side of things, other offerings at Nara fare much better. We try the carpaccio-style prawns ($118), which are firm-fleshed and served with a sweet and spicy dressing that packs plenty of heat. We also recommend the soft shell crab with yellow curry ($188), which is especially satisfying when sopped up with rothi prata ($25). And if you must order a noodle, go for the soupless, stir-fried variety. The one cooked with Thai shrimp paste ($98) is savoury and delicious, and restores our faith in Nara Thai’s dishes. It’s a shame then that we end on a bitter note with the Thai dumplings with coconut milk ($48). Much prettier than they taste, the colourful pearls of flour are inedibly hard – and obviously undercooked – when brought to our table. After speaking to the chef, our server insists that it’s the authentic and traditional way of serving this dessert. If that’s the case, then this restaurant’s interpretation of Thai culinary tradition is a little hard to swallow.